Aesthetically speaking, Dian Shui Lou is a fine establishment, with furniture and decorations resembling that of an old Chinese kung fu (wuxia) movie. And from what I’ve been told, Dian Shui Lo actually tried to emulate some of the famous (albeit fictional) dishes from popular wuxia novels by renowned writer Jin Yong. The service was very good, efficient and probably styled after another famous restaurant with similar cuisine (ie Shaighainese) — the mighty Din Tai Fung (my review of that wonderful place here). But of course, the most important thing is the food, and unfortunately I have to say that Dian Shui Lou was ultimately a disappointment. With only two people eating, we did not try most of the restaurant’s ‘famous’ dishes, which are usually huge servings for groups of people and best served with rice. Instead, we went for the dim sum-type food, the steamed buns, the vegetarian dumplings, the green onion pancake, noodles, plus some mini side dishes. Let me break it down with pictures. 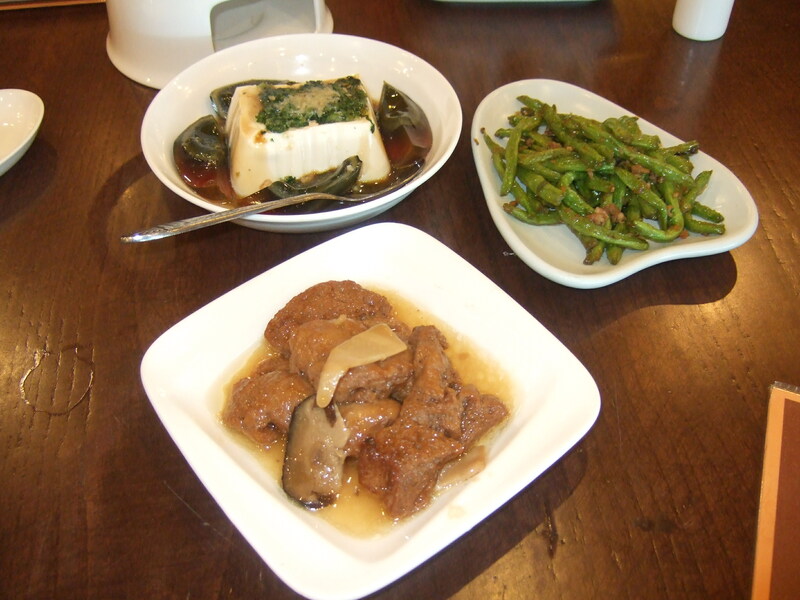 First up, the mini-side dishes — the tofu, the string beans and the…I don’t know what that is. All three were okay for cold sides, but nothing special compared to Din Tai Fung. 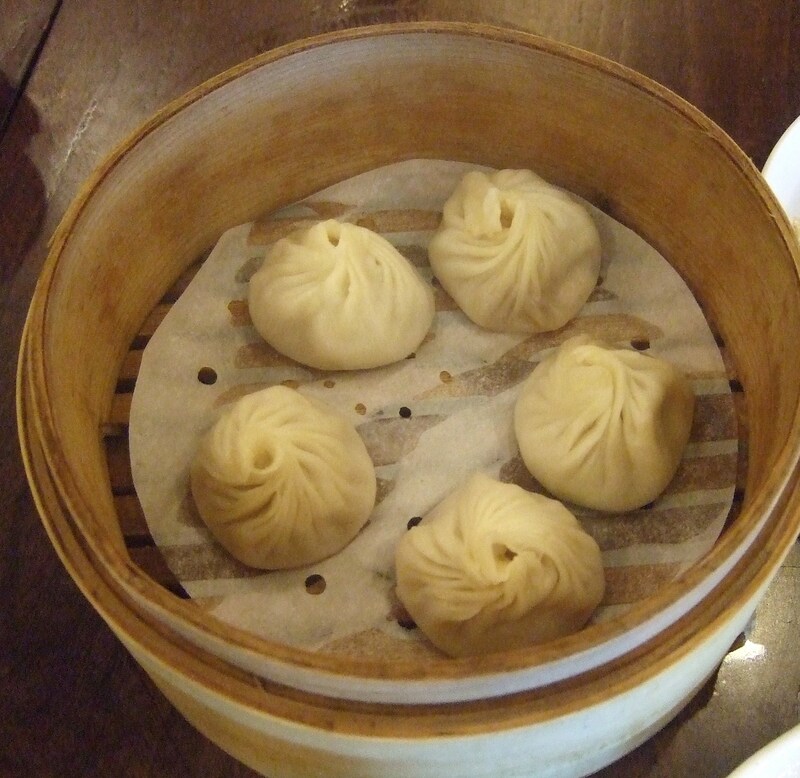 Most people should be familiar with the ‘xiao long bao’, which is also served with vinegar/soy and fine ginger strips. Not bad, with the thin skin and the juicy meat. I quite liked it, though it doesn’t really match up well against Din Tai Fung. 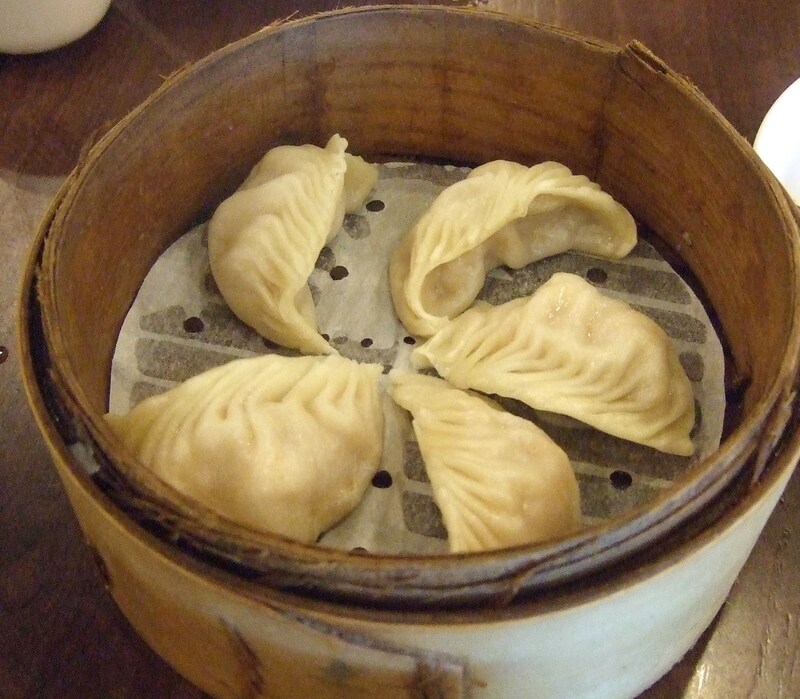 People should also be familiar with the vegetarian dumplings. 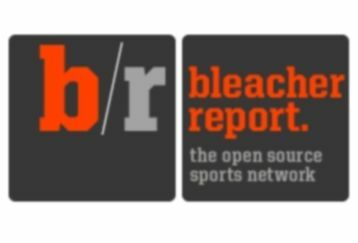 Not great in my opinion — too dry. Now don’t let this simple-looking dish deceive you. 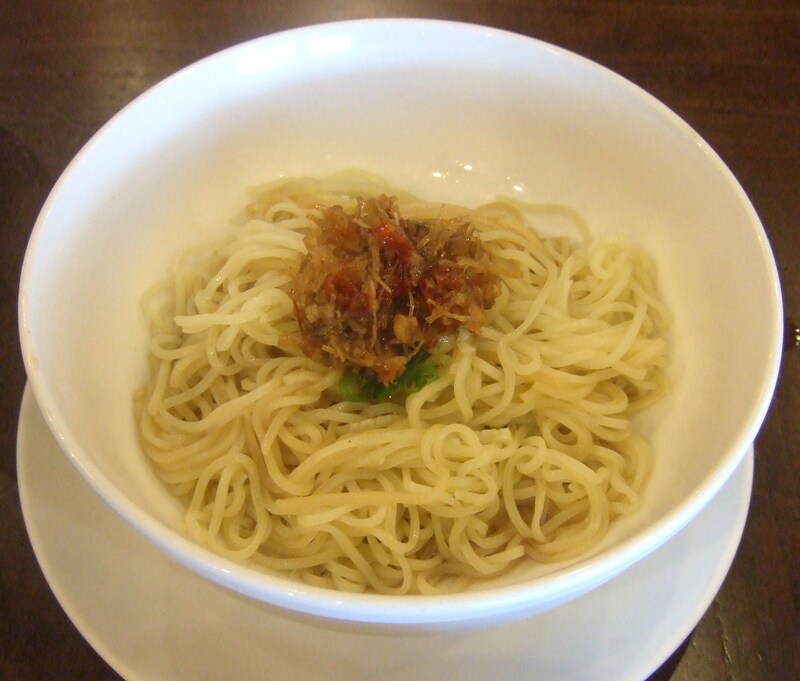 This dry noodle with XO sauce was the best dish we tried there. It was a little too spicy for me, but it didn’t stop me from polishing it up. Very sparse but effective ingredients and mix of flavours, plus the XO sauce gave it a real kick. Loved this one, but it had me guzzling up the tea in a hurry. 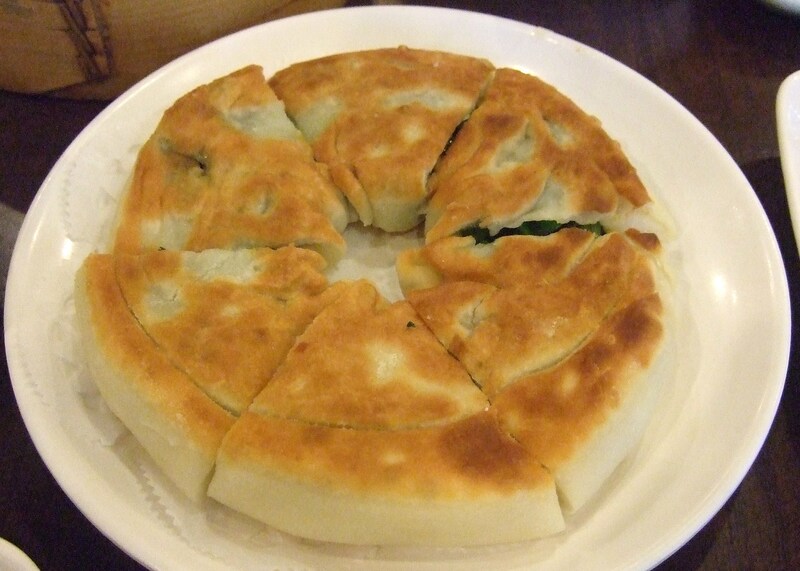 We were full by this stage, but given that we were unlikely to ever come back, we decided to try one of Dian Shui Lou’s specialties, the green onion pancake. This pan fried beauty is stuffed with ‘Seven Star Green Onion’ from Ilan in Taiwan. I have had this before at one of those stalls you see on the side of the road, and I didn’t particularly like it because it was very salty. Dian Shui Lou’s version of this pancake was obviously better than that sold by the street vendor, but it was also very salty. I guess that’s just the way it’s made. Last but not least, this pastry thingy stuffed with radish, which I’ve enjoyed many times at Shanghainese restaurants in Sydney. To be honest, I preferred the Sydney versions — this one did have a nice outside, but again, the inside was way too salty and dry. Dry city. So that was that. We polished up the meal (and took away the remains of the green onion pancake, even though we never got around to finishing it off) and it cost just a shade under NT1000, which is, given the glorious exchange rates of late, a bargain (around AUD35) for such a big meal. However, as you may have guessed, Dian Shui Lou was not a highlight for me. I guess if I had never been to Din Tai Fung, I might have enjoyed it more, but when you put the two top restaurants side by side, for me, Din Tai Fung shines through as the clear winner in all common/similar dishes by a level or two. Consequently, I can only give Dian Shui Lou a 6.5 out of 10. 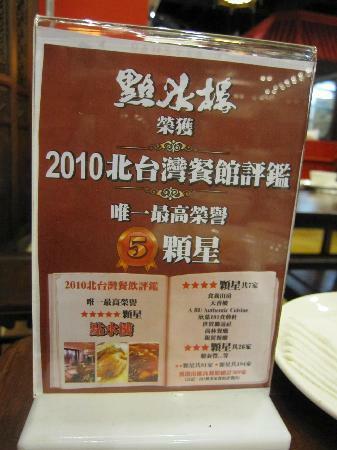 Bear in mind though, Dian Shui Lou is best known for its big dishes, such as the onion barbequed carp, crab in red bean paste, duck stew, and so forth, none of which I tried. 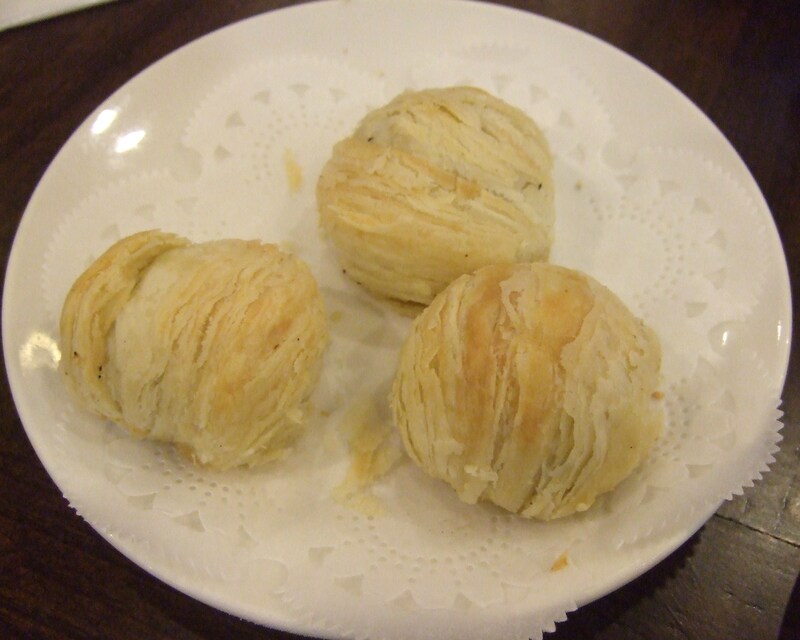 So this review is really only for the dim sum section of the restaurant, so don’t let the low score put you off if you want to try those other dishes. What I can say is that if you want to try delicious dim sums and you only have time to try one place, go to Din Tai Fung instead.